After 13 days in dry dock, Carnival Dream is making its way back to Port Canaveral, Fla., with some fun and exciting new venues, ready for guests to enjoy. The candy bins at Cherry on Top are filled to the brim with delicious confections and the bars are fully stocked at BlueIguana Tequila Bar and RedFrog Rum Bar ready to dish up refreshing daiquiris and margaritas. Carnival Dream Photo Manager Kevin Gardner, who has documented the entire dry dock process, captured some amazing pictures of the finished product as shown in the following slideshow. 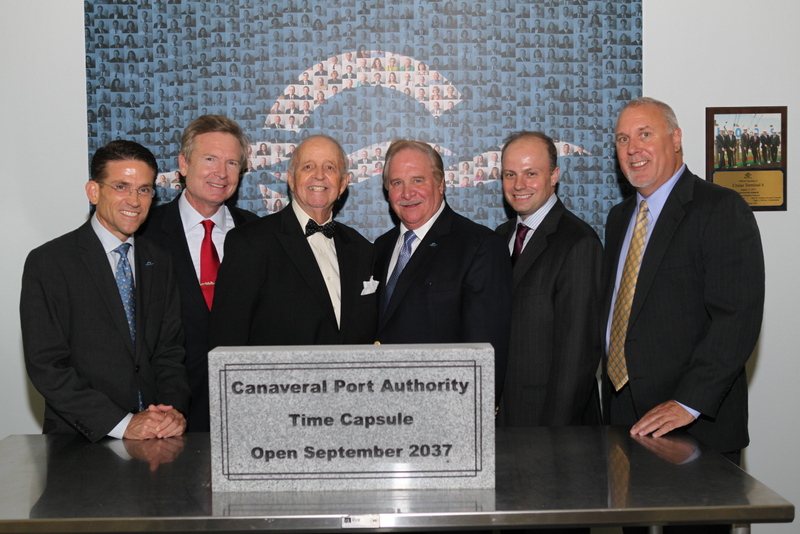 Carnival Dream will welcome its first guests post-dry dock when it resumes its year-round seven-day Caribbean schedule from Port Canaveral tomorrow, Sept. 22, 2012. 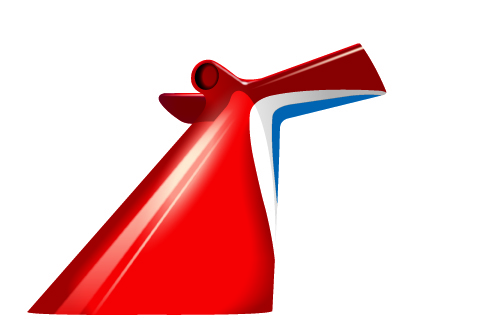 Something “Fun” This Way Comes: Day 10 of Carnival Dream Dry Dock! 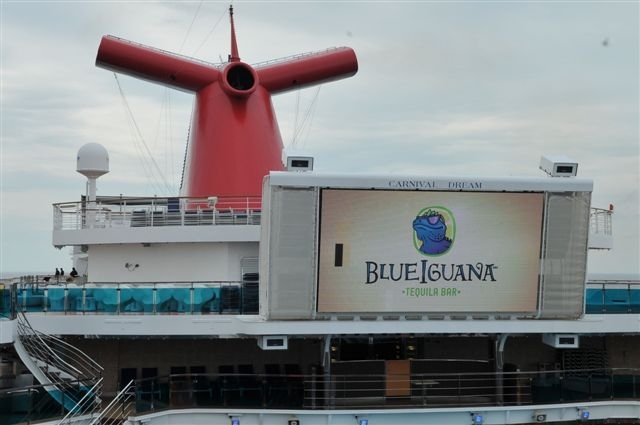 With only a couple of days until Carnival Dream’s “final reveal” out of its two-week-long dry dock in the Bahamas, Blue Iguana Tequila Bar, RedFrog Rum Bar and Cherry on Top are almost ready to start serving up some fun memories. Carnival Dream Photo Manager Kevin Gardner continues to document the progress of the ship’s makeover, capturing some truly dazzling images of the new and exciting spaces that have been added over the past 10 days. Carnival Dream is scheduled to resume its year-round seven-day Caribbean schedule from Port Canaveral, Fla., Sept. 22, 2012. Be sure to check back for additional images as the ship’s dry dock continues. Days Six through Eight of Dry Dock Have Carnival Dream’s Cherry on Top Looking Sweet! Over the weekend, Carnival Dream Photo Manager Kevin Gardner continued to document the ship’s dry dock and refurbishment process with some great pictures of Cherry on Top, BlueIguana Tequila Bar and RedFrog Rum Bar which are starting to take shape. 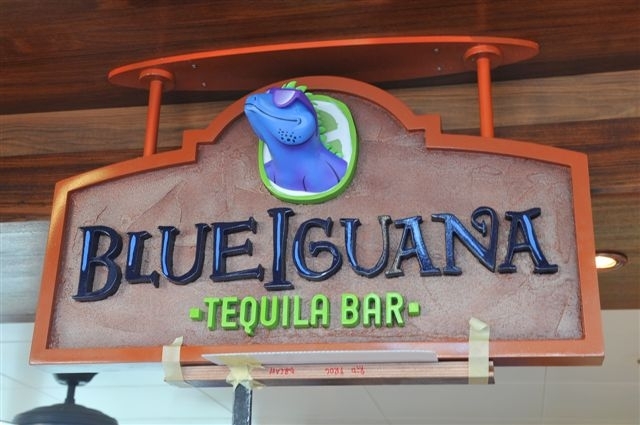 Workers are pictured here continuing to add the unique touches and details that make each one of these areas so distinct, like Cherry on Top’s red light tree and candy bins, as well as, BlueIguana Tequila Bar’s beautiful blue tile and RedFrog Rum Bar’s colorful bar. 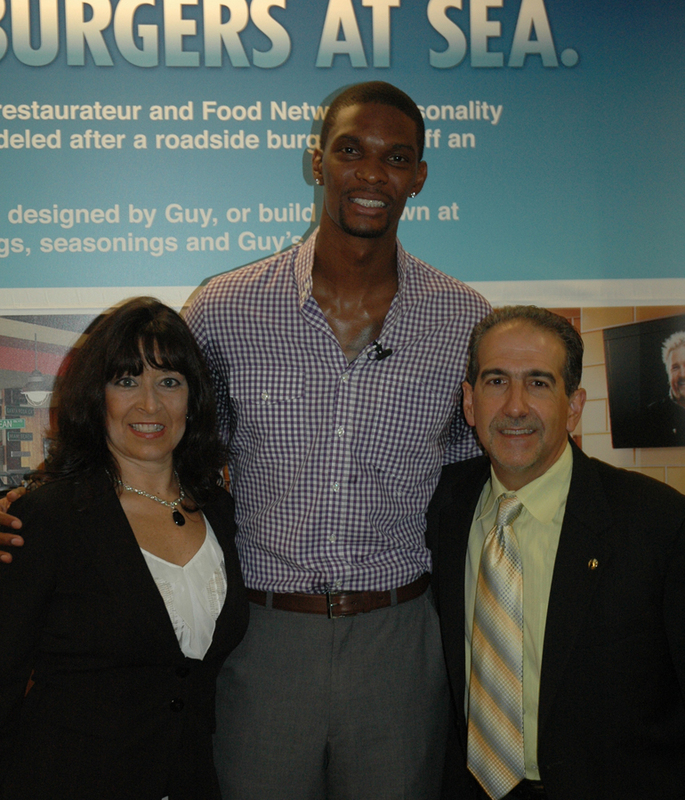 Carnival Dream is scheduled to resume its year-round seven-day Caribbean schedule from Port Canaveral, Fla., Sept. 22, 2012. Be sure to check back for additional images of the ship’s dry dock progress. 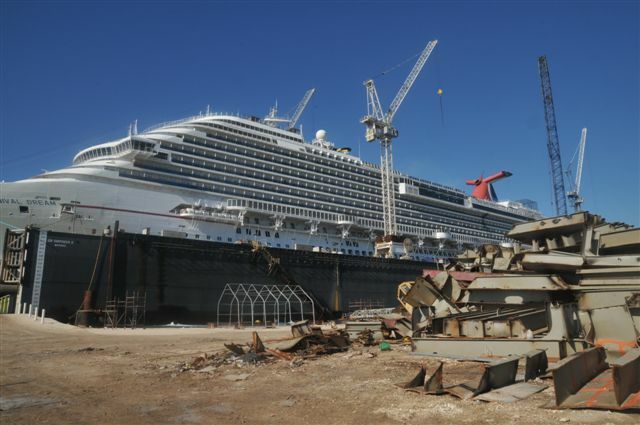 Carnival Dream Dry Dock Starting To Take Shape — Slowly But Surely!